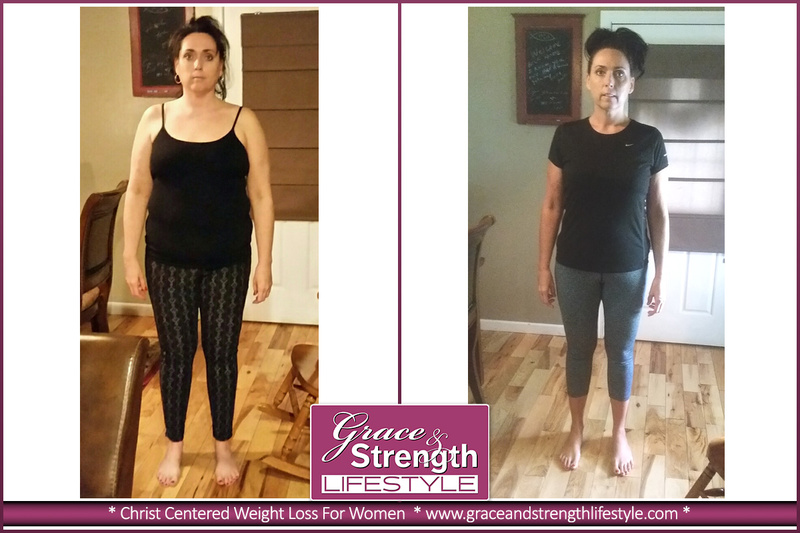 Christine's Story: Months ago, I was being distracted by diets that weren't working, overweight and still gaining, having increasing health concerns, and saddest of all – a complete focus on self and continual thoughts about food. Food and eating food was how I was spending my time; celebrating with food, consoling with food, enduring boredom with food, getting through the day with food. Food had become my constant companion and was what I turned to during the day. Little did I know what freedom would come from what I knew as a "weight loss" program. Of course, I was the typical dieter. If I saw a new infomercial, I would convince myself, this must be the one that works and I would "try" it for a month and fail. Or, I would commit to eating healthy for the week and reward my efforts on the weekend only to gain back my progress from the week, hence the yo, yo dieting. 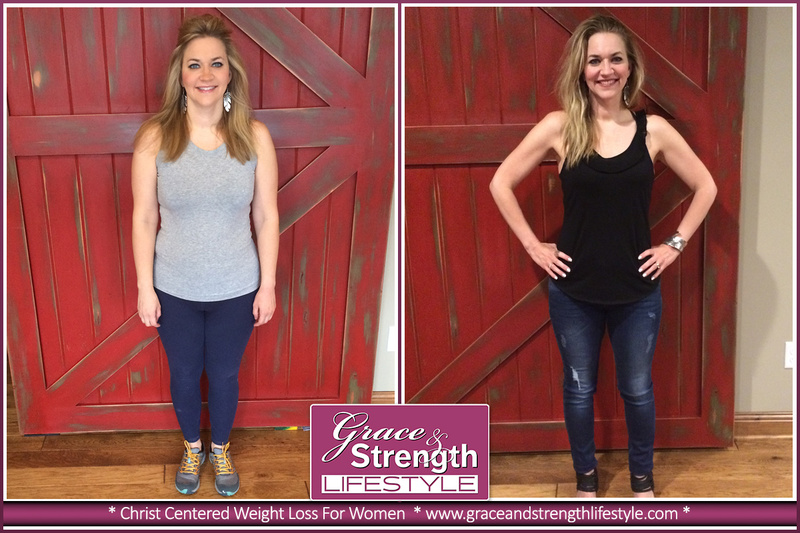 Shay's Story: Before Grace and Strength, I can honestly say that my relationship with food was very unhealthy. I would call myself a "foodie" who loved to go out to eat and try new foods and drinks! That is what I would look forward to every day. The idea of food became an idol in my life that consumed my every thought. All day I would be thinking about places I wanted to try and recipes I wanted to cook at home. Coleen's Story: This journey officially started for me as I was looking at pictures of myself from my daughter's wedding last summer. I was amazed at how large I had become! It saddened me to look at myself and realize that I had been gaining steadily over the last 20 years with a sharp jump of 30 pounds in the last three years! How could this happen? I realized that the majority of the clothing I had purchased only three years ago no longer fit!!! I grew up as the proverbial skinny girl --- so much so that I was referred to as Olive Oyl most of my life! I was 40+ years old when I began struggling with weight issues. As a mom, wife and full time account executive my full efforts in life were spent taking care of everyone around me every day. From my 4 kids (my youngest having several major health issues), my work, my spouse as well as my friends and church family, I always found myself too tired to take care of me at the end of the day.